Clay soil holds water and nutrients but can be difficult for gardening, especially when it's dry or muddy. There are several things you can do, however, to improve clay soil and prepare it for gardening. The main thing you need to test in your garden is the pH level of the soil. Clay soil pH levels can run from 5.0 to 7.5. If you're planting vegetables, the pH should be between 6.5 and 7.0, since most veggies love acidic soil. A reading of 7 is interpreted as a neutral soil pH. Any pH reading that's above 7 is alkaline. Any pH reading below 7 is acidic. Based on your pH reading, you'll either need to raise or lower the pH level. This is done by amending the soil. The rule of thumb is to never add any amendments when clay soil is wet. Always allow the soil to dry out before working it. The University of Vermont Extension advises to use lime or dolomite to increase the pH level of your soil. Limestone is a mineral, composed mostly of calcium carbonate. Dolomite is a combination of calcium carbonate and magnesium carbonate. Opt for ground limestone instead of plain limes. It is gentler to plant roots and won't burn them. Dolomite won't burn the roots of plants. When amending soils, it can be tricky determining the exact amount of amendments you need to add. For example, if you have quite a bit of organic matter already added to the soil, then you will need more lime or dolomite in order to raise the pH level. The greater the amount of organic matter or clay in a soil, the more lime or dolomite is required to change the pH. Table 1 shows the amount of lime needed to raise the pH. Use an online limestone calculator to determine how many cubic feet of limestone you need. Main Organic Farmers and Gardeners Association (MOFAG) advises if the pH level is 5.5 to 6.0 then add five pounds of limestone to every 100 square feet. MOFAG reminds those living in the Northeast that many soils in that region have a magnesium deficiency. If your test revealed this deficiency, remedy it by using dolomite instead of limestone. It's rare clay soil will test too alkaline. The rare cases can be the result of a recent addition of mulch. If so, wait a few days and retest. If your soil is naturally too alkaline, Extension.org advises to lower the alkaline level with elemental sulfur. Dig the soil to aerate it and then moisten, then add the sulfur. Be sure the soil is warm so the chemical reaction is activated. Use an online calculator to determine the amount of sulfur you'll need. You may prefer to apply acidifying fertilizers, such as ammonium sulfate. Follow manufacturer's directions. Perhaps the easiest and best way is to add organic matter since it is highly acidic. If you don't have any compost, purchase peat or peat moss. Now that you know the pH level of your soil, it's time to test the texture. You can improve the texture of your soil to make it easier to work with and provide greater air flow for plant root systems. Looser soil means it's more difficult for weeds to grow. Gather a handful of dry clay soil and add enough water to form a ball. You will work this to determine the type of soil in your garden. Begin to knead the ball with your fingers. Form a flat ribbon with the moistened soil. How long a ribbon were you able to form before it broke away? Anything less than 1" indicates a loam soil. A ribbon 1" to 2" reveals a clay loam soil. Anything longer than 2" clearly indicates clay soil. The ideal clay soil will have less that 40 percent clay so it can drain well. 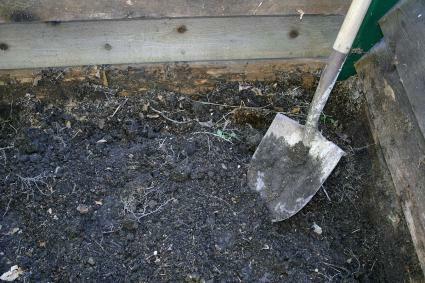 To remedy heavy clay soil, add compost and other organic matter. Another way is to improve clay soil texture is to add gypsum. It won't affect the pH level, but can improve the soil texture. According to Ed Hume Seeds, gypsum will recondition your clay soil. Gypsum's super power is the ability to loosen the soil and create air pockets and moisture areas for better soil structure. You will need to do this annually and gradually to build up your soil texture. You'll need 40 lbs for every thousand square feet. 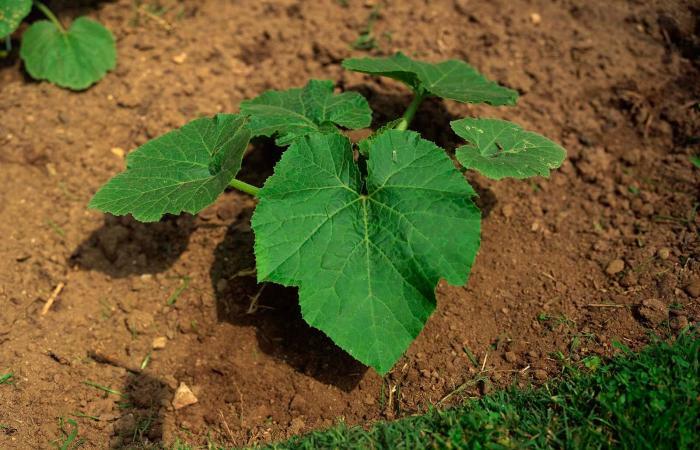 Clay soil can be easily amended to be one of the best growing soils. You can have a vibrant, productive and healthy garden once you apply these steps for soil preparation.